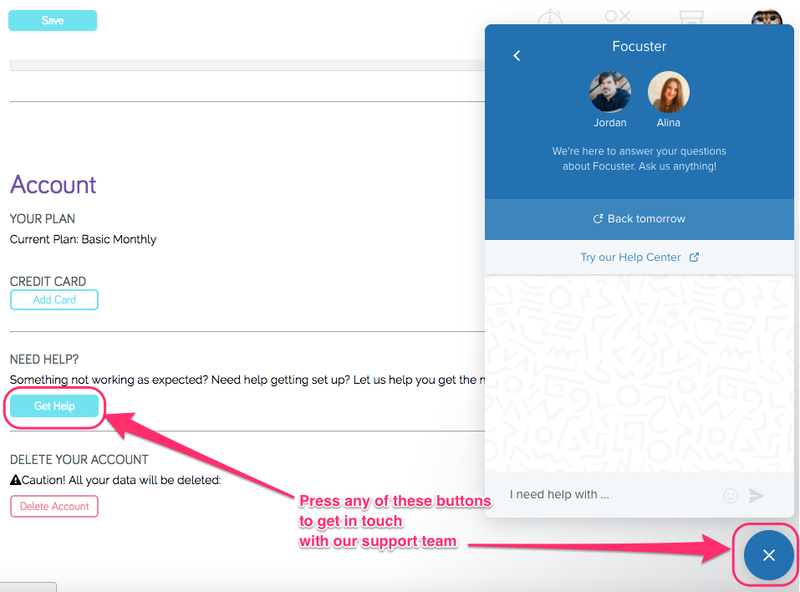 How to delete my Focuster account? 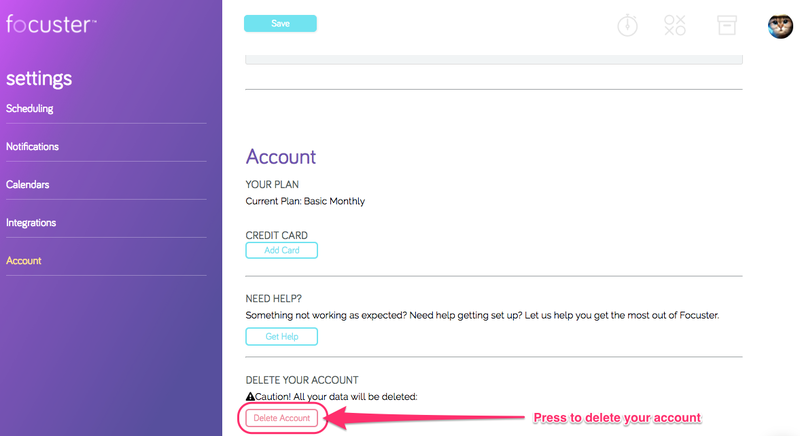 To cancel your account go to the Settings menu -> Account. You will find the "Delete account" button on the bottom of the section. Please note that after pressing this button all your data will be deleted.